Halona Beach Cove is a small picturesque sandy beach protected by a rocky cove in southeast Oahu, Hawaii. It is also called Eternity Beach, in reference to the iconic kissing scene of Deborah Kerr and Burt Lancaster in the 1953 motion picture From Here to Eternity which was filmed here. 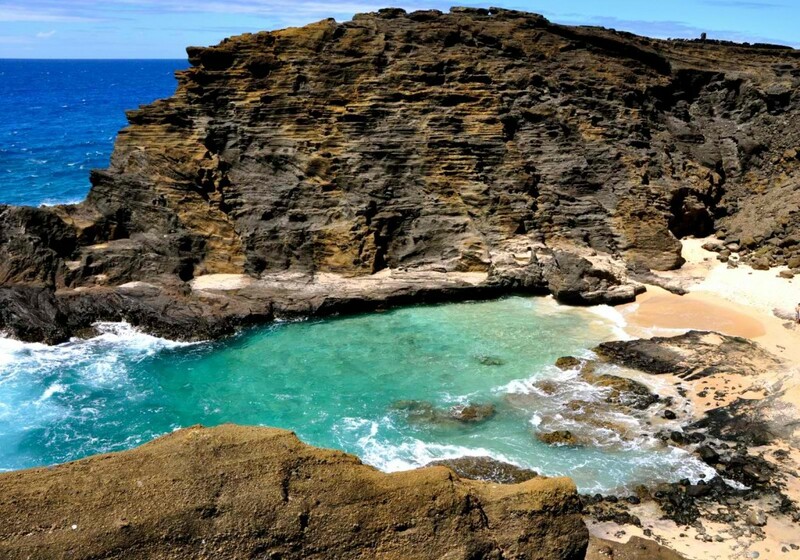 More recently, Drew Barrymore and Adam Sandler shot a kissing scene in this beach for the movie 50 First Dates. The beach is great for swimming when the surf is calm but can be dangerous when the surf is rough. There are also no lifeguards on duty here, so extreme caution is advised when venturing into the water especially when the surf is high. 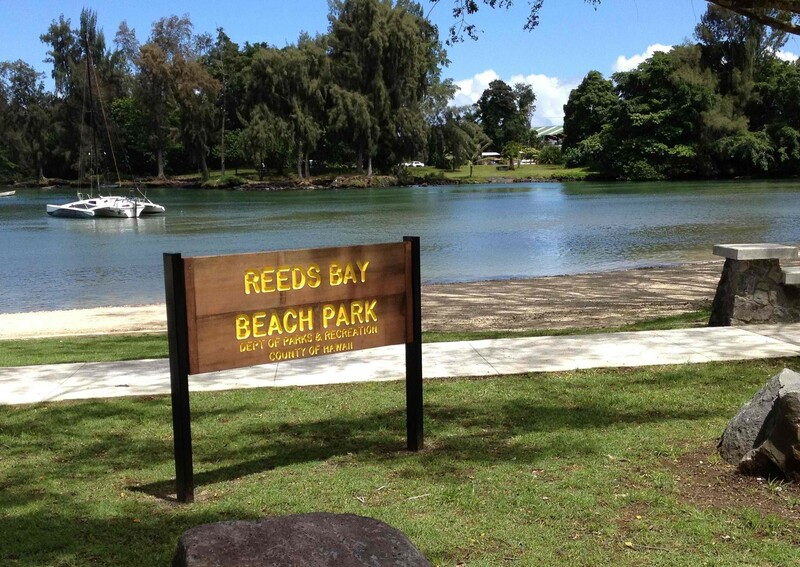 There may also be very strong currents beyond the protected cove area so always keep close to the beach. The Halona Beach Cove is also not very easy to get to. It involves scaling down a steep path on a rocky cliff from the parking lot. The rocks can get slippery and sharp so wear sturdy shoes and be extremely careful while traversing down the path. The area is also a favorite spot for sea turtles. However, only watch them at a safe distance and do not ever touch them! They are very gentle creatures and harming humans will be last thing they'll do but if you are caught touching or trying to ride on them, you will be fined. Another nearby attraction is the Halona Blowhole, a lava rock formation and a blowhole overlooking the Pacific Ocean. When the tide is high and the winds are strong, waves hit the rock formation then shoots a stream of water that reaches up to 30 feet into the air similar to a geyser. 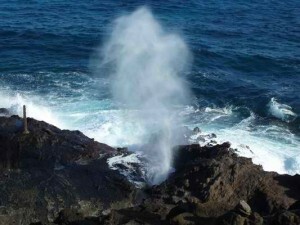 While sprays of sea water coming out of the blowhole can be a spectacular sight, the hole is a very dangerous area that has already claimed numerous lives. Several fatal accidents were reported here including one victim getting launched into the air when the blowhole spewed water. Other incidents involved victims getting sucked into the blowhole. 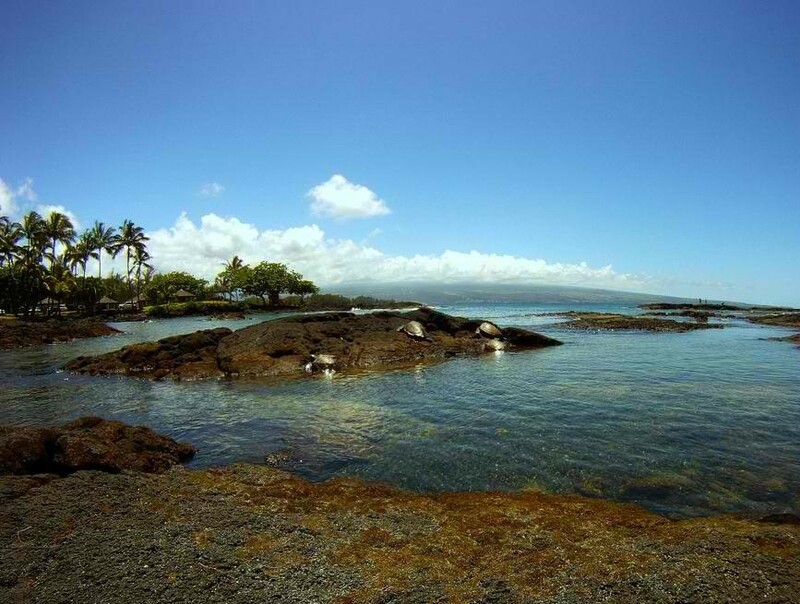 The Halona Beach Cove is just below the Halona Blow Hole Lookout parking.